If you’re planning to throw an outdoor party or a big product launching event, then something you should seriously consider is utilizing a tent. 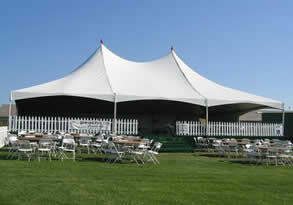 A tent or a canopy is a good facility for outdoor events. Many party planners in Singapore make use of this structure to keep guests dry and comfortable in case of unexpected weather changes. To make your tentage event a success, here are details you should keep in mind. Tents can be installed anywhere nowadays by Nanyang tentage rental singapore such as rooftops, beaches, or even at the side of a mountain. Just make sure you have a clear pathway for loading in and out of materials, equipment staging area, and tent parking area. If you’re staking the legs of the tent, check thoroughly the underground area for irrigation pipes, water mains, and power cable lines. Knowing the number of guests is among the major factors in making an event successful. It is important to have a close estimation of the number of Singapore guests you need to accommodate on the actual day of the event. The more guests to come, the larger the tent you will be needing and the costlier the tent rental fee will be. Typically, a standard 20×20 tent size can only accommodate 35 persons when seating in tables or 50 persons when sitting in rows. 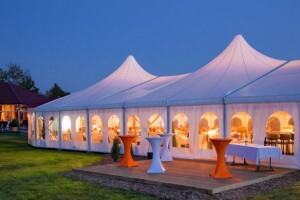 Tentage rental companies do offer larger tents while some may offer you alternatives, like connecting frame tents. Although many tent rental companies in Singapore charge similar fees, it’s still worthy to check a couple of more options. One tent supplier could be running a 10% discount while the other one offers a complete party package deal, which includes tables and chairs, in an undiscounted but equal price. Though be sure to find out if such discounted rates provide sidewalls, gutters, and other furnishing needed to mount the tent. 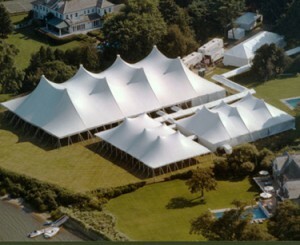 If you’re planning to have a luxurious event, ask your tentage rental provider for a double-decker tent. A double decker tent with an open balcony will give your party a unique and sophisticated appeal. Match it with lounge furniture and a lavish buffet menu to bring your event up a notch. On the other hand, if you’re planning for a small get-together celebration with just a handful of friends, a basic 20 x 20 feet frame tent will suffice. Your theme should go well with the image of the event. For instance, if the Singapore event is a wedding, combining colorful flowers with rich textured patterns will make the room look stylish and glamorous. If you’re planning a pool party, decorating the tables and chairs with seashells and other bright colored fabrics suggest a feel of summer. Negotiations that includes large amount of money should never skip this step. Make sure your hard-earned money is secured from any unpleasant surprises that may show up on the last minute. Seek for Singapore structure insurance, event insurance, and insurance for site location from property owners. Is There a Difference Between Perfume and Cologne?